Che Lagarto Hostel Foz do Iguaçu i Foz do Iguacu, Brasilien : Boka nu! You have always dreamed of getting to know the Iguaçu Falls, what you’ve never imagined is that here you’ll have the best days of your life! After a day of hiking, adventure and nature, have fun in the game room with pool tables and ping-pong. Do you prefer getting relaxed? Enjoy the beautiful view from the terrace while enjoying the Jacuzzi tub or in the pool. Rooms? 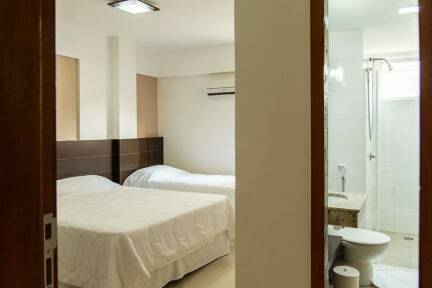 As an excellent and great Hotel: comfortable, equipped, modern, and clean. And as if that were not enough, our travel agency will organize excursions and transfers at low rates. You don’t have to worry about anything! Service, care and great attitude, an unbeatable mix of our staff! Come and meet us, you’ll be surprised! During these special periods, payment of the reservation is required with a 100% advance: Independencia Brasil (9/6/2019-9/8/2019), Nossa Senhora Aparecida (10/11/2018-10/13/2018 and 10/11/2019-10/13/2019), Finados (11/1/2018-3/11/2018 and 11/1/2019-11/3/2019), New Year (12/28/2018-12/31/2018 and 12/28/2019-12/31/2019), Carnaval (3/1/2019-3/5/2019), Semana Santa Tiradentes (4/18/2019-4/20/2019), Proclamaçao Republica (11/14/2019-11/16/2019), Independencia (7/6/2019-7/8/2019), Gral.San Martín (8/17/2019-8/19/2019), Diversidad Cultural (10/12/2018-10/14/2018 and 10/12/2019-10/14/2019), Soberania Nacional (11/16/2018-11/18/2018 and 11/15/2019-11/17/2019), Christmas (12/23/2018-12/25/2018 and 12/23/2019-12/25/2019), Fallecimiento de Guemes (6/14/2019-6/16/2019). Payment and exchange rate: our prices are set in USD (US dollars). 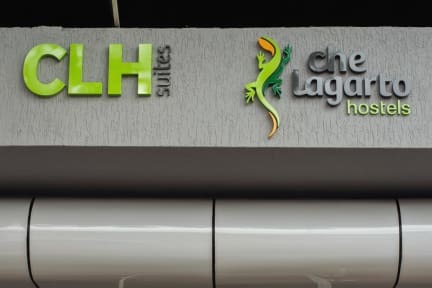 The exchange rate used is established by Che Lagarto / CLH Suites. We accept Reais, Dollars, Visa, and Mastercard.